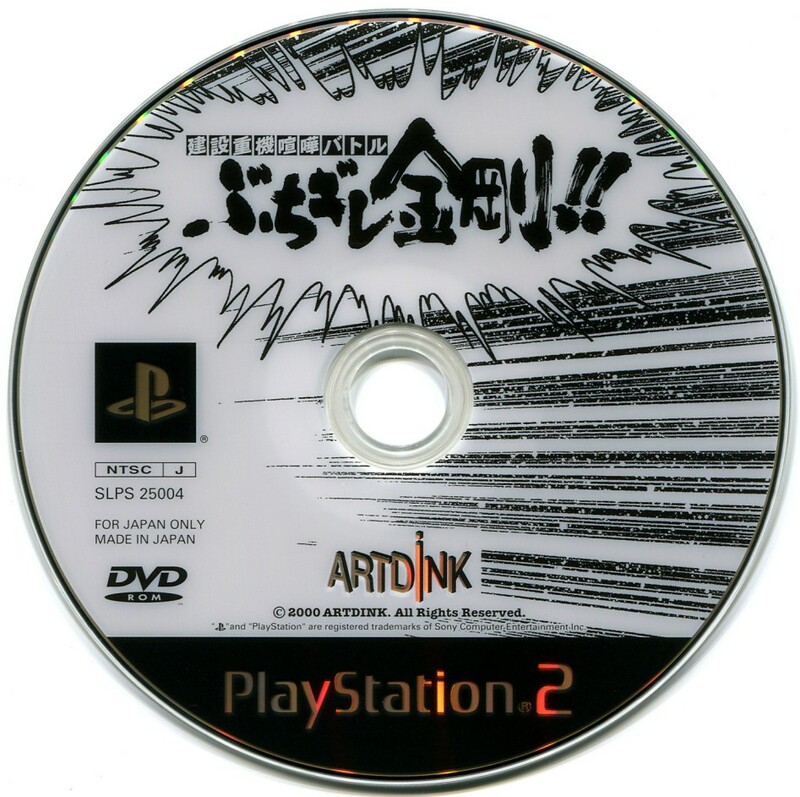 ﻿ Raido's Stuff - PS2 - Buchigire Kongō!! 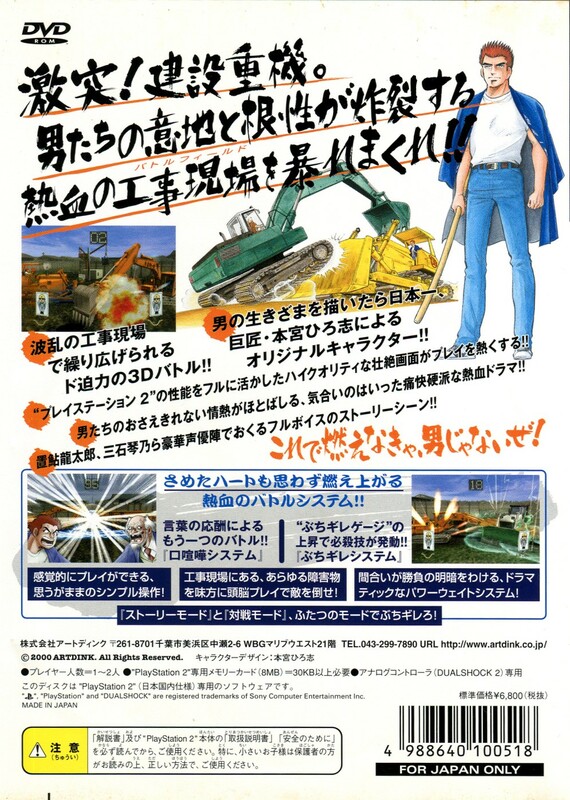 This is exactly what it looks like from the cover: A fighting game where you drive construction equipment. The problem is that the vehicles control like... well, construction equipment. They're all rather slow and cumbersome, despite the presence of gamey concessions like boosts and special moves, and battles generally devolve into the two opponents simply bumping into one another chipping away damage until someone inevitably explodes. The back of the box claims "If this doesn't get you pumped up, you're not a real man!" I guess I always knew in my heart, it just took a crappy PS2 game to make me realize it. 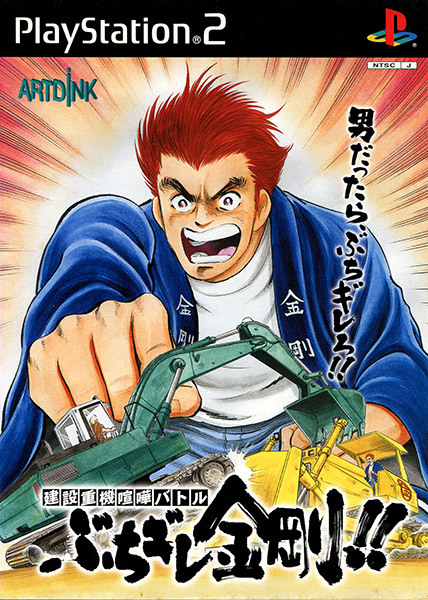 This inexplicably got a PAL release under the incredibly literal title Battle Construction Vehicles, which apparently has an amusing dub by a completely British cast. The character designs are by Hiroshi Motomiya of Salaryman Kintarō fame, but are frankly rather meh.